Posted on August 1, 2011 by Deli Lanoux, Ed.D. When I joined Steven for UTMSI’s annual family Thanksgiving luncheon last fall, we sat with a delightful group of women. I hadn’t met most of the ladies face to face, but I knew who they were from the glowing comments I’d received about them from both Pat, their supervisor, and Steven. 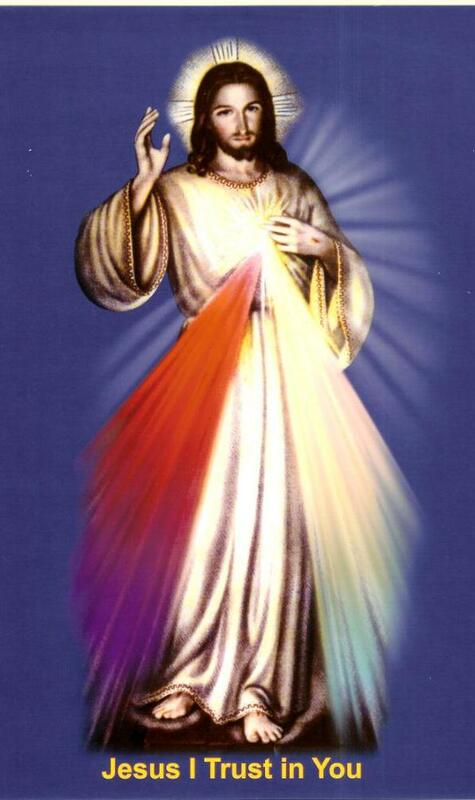 Among them was Mary, a sweetheart with joyful eyes who, through Pat, had sent me a Divine Mercy photograph that her husband had received at the installation of Bishop Mulvey at the Corpus Christi Cathedral, March 25, 2010. That opener led to more conversation on prayer related topics. “Have you heard of My Father’s House?” Mary asked smilingly. Mary told me about her visit to the place in Corpus, but I could barely hear her since the lunchroom had filled and everyone was talking. Sure enough, Steven brought me the literature the following day after work; so I sent Mary a thank you. Of course, working at the computer every day makes online searches most convenient; and Mary’s place interested me, so I checked into it right away and found something that truly piqued my interest. 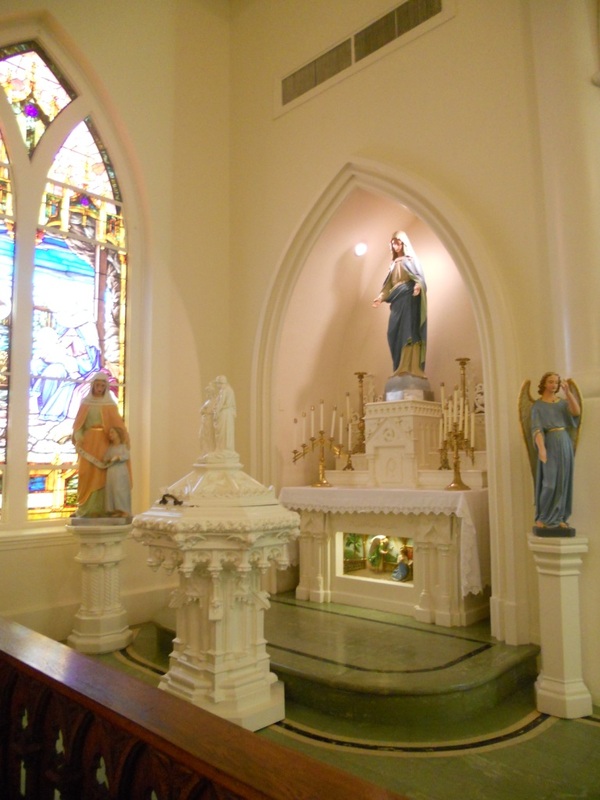 Although my most favorite church is the Immaculate Conception Cathedral, I’ve had an extra special place in my heart for mom’s church, Christ the King, not because I belonged to the parish practically from birth, but because I discovered the joy of attending charismatic Mass there after teaching an eighth grade CCE class Tuesday evenings. The best part was that my three catechist friends also attended, which was comforting ’cause I didn’t know anyone else there; and both the Mass and the long service afterwards were in Spanish. What a heavenly delight to experience the fervor of faith with Lupita, Sally, Gracie, and all those believers! I may not have been much into the singing or the body posturing— arms raised, eyes closed, clapping, swaying to the music— but I was certainly moved through association. A couple of times I’d also tried the Wednesday evening service at St. Luke’s, but the community’s spirit had been so lacking that I only attended Christ the King’s after that. Mind you, one doesn’t have to attend weekly or even regularly to become familiar with the power of united prayer at those gatherings, just as one doesn’t have to be absolutely sold on the idea of charismatic Mass. One only needs to be predisposed to miracles. After the CCE school year ended, I attended charismatic services off and on. Then, little by little, the girls and I got busy with our separate lives; and that was that. Still, to have been part of the Tuesday night charismatic services was to have known not only the power of prayer, but also the gratitude expressed through the thanksgiving and praise that flowed freely among everyone present. I mean, how can one not be touched by the suffering and pain that others feel? How can one not be moved by others’ tears? How can one not share in someone else’s joy? The sights, the sounds, the faces, the stories, the community building, the rock solid faith of the folks at those charismatic services left no doubt that the spirit truly moves at Christ the King. Then came November 1995. I’d struggled with serious back problems for eight weeks and had been laid up for six of them. I wanted to be up and about. I wanted to be back at work. And then, out of the blue, I remembered. I struggled to get out of the vehicle alone, but I was determined to enter church on my own. As I set foot on the entryway, I heard my voice deep within myself: I want to be able to run again! Butmy head was more realistic: What? Run? Silly rabbit! You can’t even walk! Unfettered, I made my way to the fifth pew on the right where I’d sat with the girls so many times before. I didn’t know anyone there, but I soon lost myself totally in the service. After Mass as usual, individuals, sometimes accompanied by family members, got up to share their stories prior to the healing service. If they can do it, so can I. I know I’m not healed yet, but I want to give thanks and praise for being here. I want to share my story so that God knows I believe. Somehow, with those around me extending their hands and arms to keep me from falling, I made it to the front of the church. In my funny Spanish, I expressed my gratitude to those present whose faith was so great and so inspirational that I’d had to be there that evening. I don’t know how I did it ’cause I was fighting against the tearful emotions that wouldn’t be contained, but the faces looking back at me clearly understood. And empathized. They applauded as I made my way back to the pew. Then, when the service was over, I held onto each pew I passed so as not to tumble down the middle aisle. Reaching the door through which I’d initially entered, I could see the red lights on the back of my stepfather’s van. He was stopped more than twenty yards in the distance. Vehicles were backing out and exiting the parking lot; and the rain was intensifying as big, cold drops landed everywhere with wild abandon. My stepfather’s van wasn’t turning back to get me, so I had to act quickly. More concerned about getting drenched than about falling, I covered the top of my head with my left hand as my right arm instinctively swung back and forth. And I ran for the van as if my life depended on it. Wow! I still get emotional just remembering. As I checked the website Mary had referred to during lunch, I determined that Tuesday evening’s Mass and healing prayer is a charismatic service, one I’d most definitely like to attend. Maybe I can talk Junebug into joining me, so I can compare it to those at Christ the King. Funny isn’t it, how God answers prayers in perfect time ’cause I’d been talking to the gang at St. Paul’s about charismatic Mass. Finally, two weekends ago Steven and I headed down to Brownsville early enough for us to reach Sacred Heart in time for its only weekend Mass at eleven-thirty Sunday morning. I wanted Steven to experience the church firsthand, the way Segy and I had. I readily recognized three of the regulars from more than twelve years ago, but I wondered where the others were. Many of them had been part of Sacred Heart for a very long time, and they’d had lots of interesting stories to share. How I longed to visit with them again! My mind wandered as I smilingly looked around. I was enjoying every moment of my recollections when I suddenly came to. Oh, my gosh! I can take the photo of St. Anne that I’ve waited for all these months, the perfect complement to the book Mary gave me last fall. 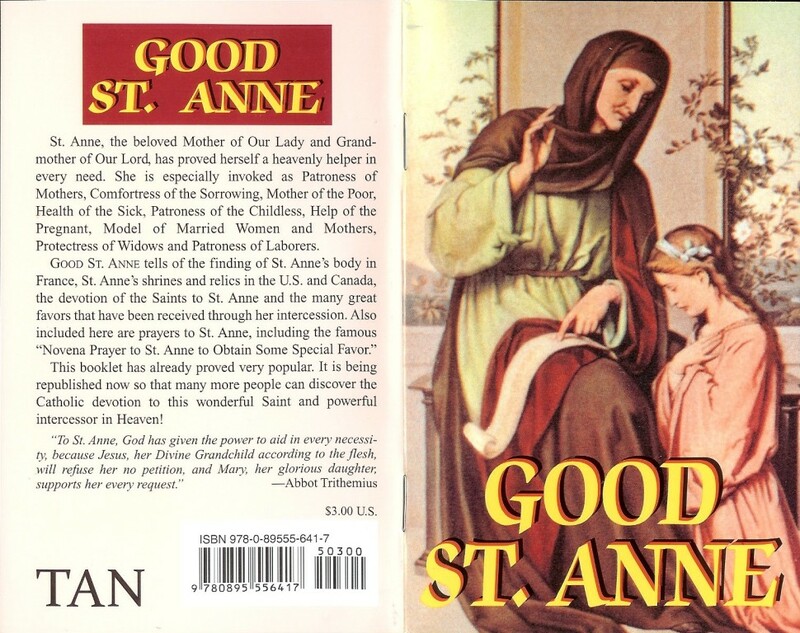 Patroness of Christian mothers, the childless, widows, and laborers, St. Anne is also the comfortress of the sorrowing, mother of the poor, health of the sick, help of the pregnant, and model of married women and mothers. 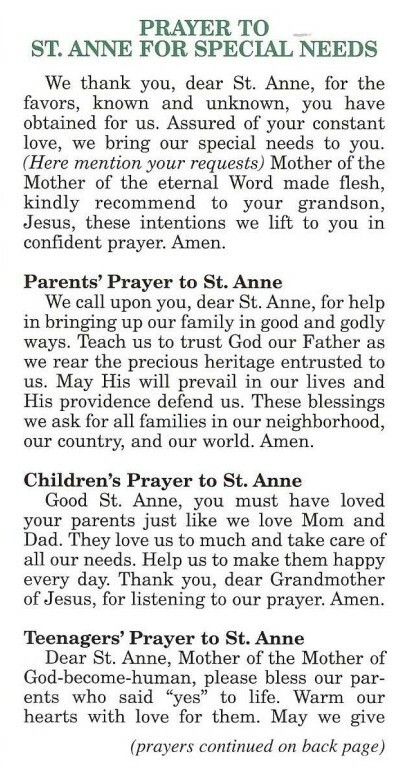 Tuesday is St. Anne’s special day, since that’s when she died. 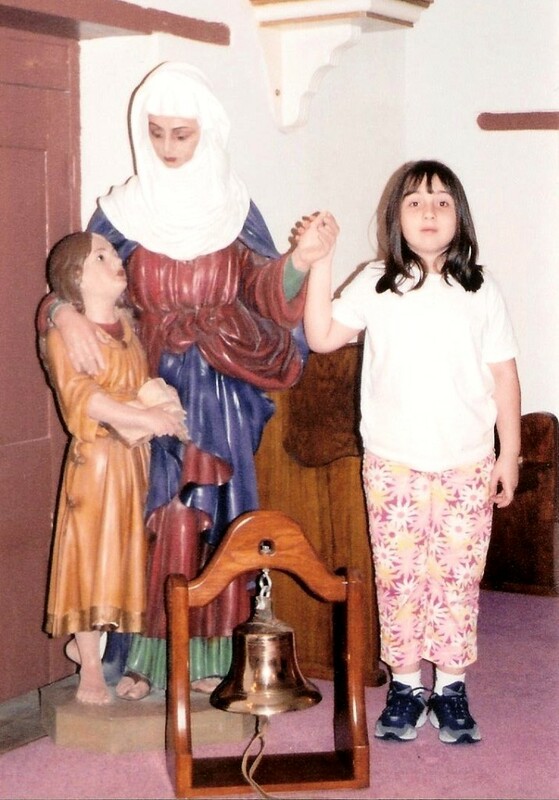 “It will give her great joy if we give alms in her honor on Tuesdays” (Benedictine Convent of Perpetual Adoration, 1958; TAN Books and Publishers, 1998, p. 41). One may also pray the Hail Mary nine times in honor of the nine months during which she bore the Immaculate Virgin Mary in her womb. 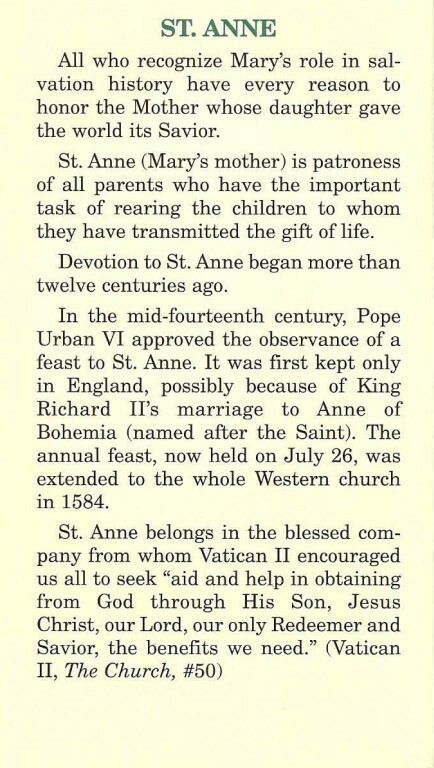 Clients of St. Anne should devoutly celebrate her feast day, July 26, and prepare for it by a novena (a prayer said for nine days). 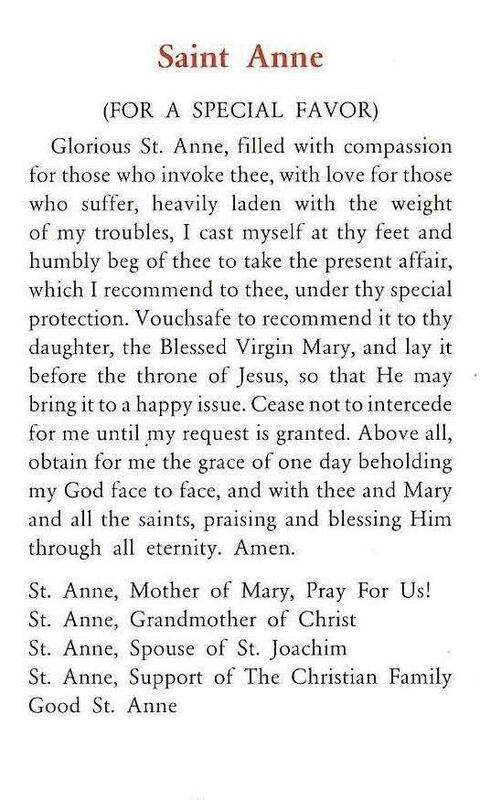 Lastly, we should try to spread devotion to good St. Anne, which can be done effectively by circulating [her prayers and devotions]. 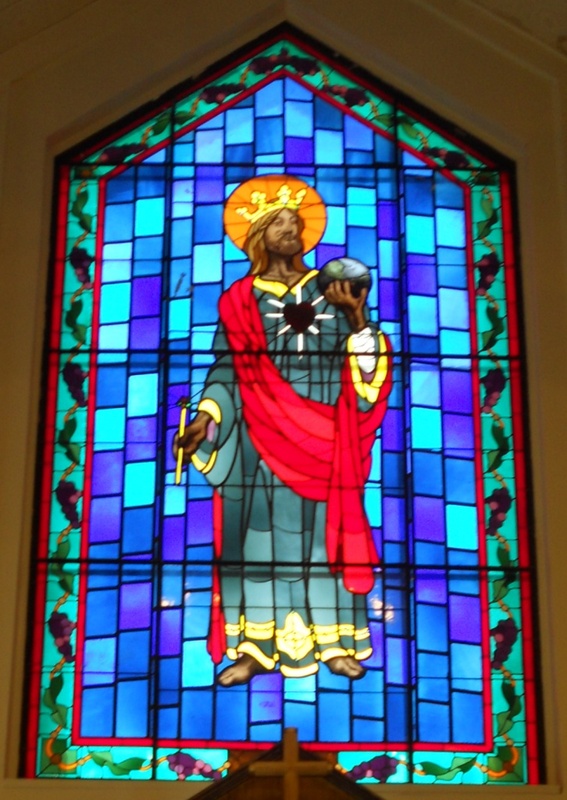 Christ the King… Christ Jesus, I acknowledge you king of the universe. All that has been created has been made for you. Make full use of your rights over me. I renew the promises I made in Baptism when I renounced Satan and all his pomps and works. I promise to live a good Christian life and to do all in my power to procure the triumph of the rights of God and your church. Divine heart of Jesus, I offer you my efforts in order to obtain that all hearts may acknowledge your sacred royalty [so that] the kingdom of your peace may be established throughout the universe. Amen (From A treasury of prayers, The Leaflet Missal Company, n. d., p. 9). Memorare to St. Anne… Remember, O holy mother St. Anne, that never was it known that anyone who fled to your protection, implored your help, and sought your intercession was left unaided. 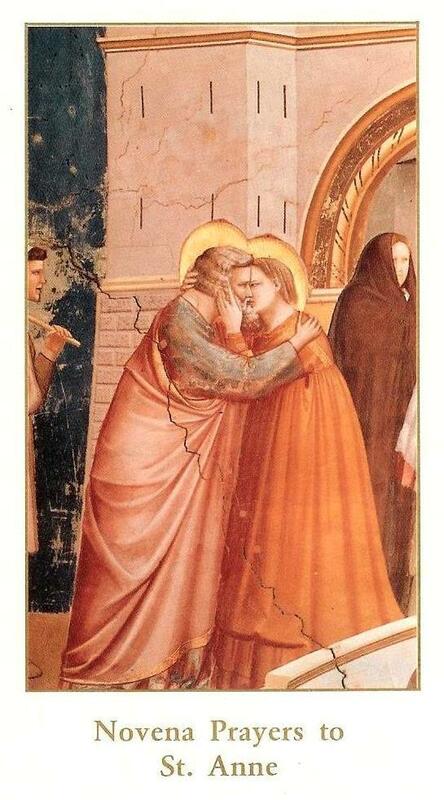 You are a most merciful mother and aid all who are in distress. Inspired with this confidence, I take refuge with you and implore you by your great advantage of being the mother of the Queen of Heaven and grandmother of the Savior of the world. Come to my aid with your powerful intercession. 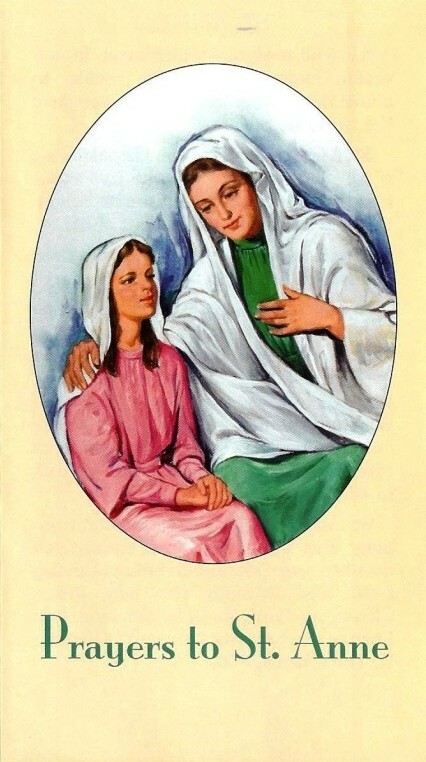 Obtain from your immaculate daughter this favor…. In honor of the nine months during which you bore the ever blessed virgin in your womb and brought her forth without stain of original sin, I now pray nine Hail Mary‘s, which I offer you through my guardian angel. Amen. 5 Hillhouse Avenue, New Haven, 06511-6815, respectively. This morning St. Anne beckoned. How or why I ended up on this post I’m not sure, but I found broken links that I just now replaced. What’s more is that I found some really interesting tidbits in my online searches. The man who began the charismatic movement at My Father’s House died in 2009, so the worship services stopped and the worship center closed. 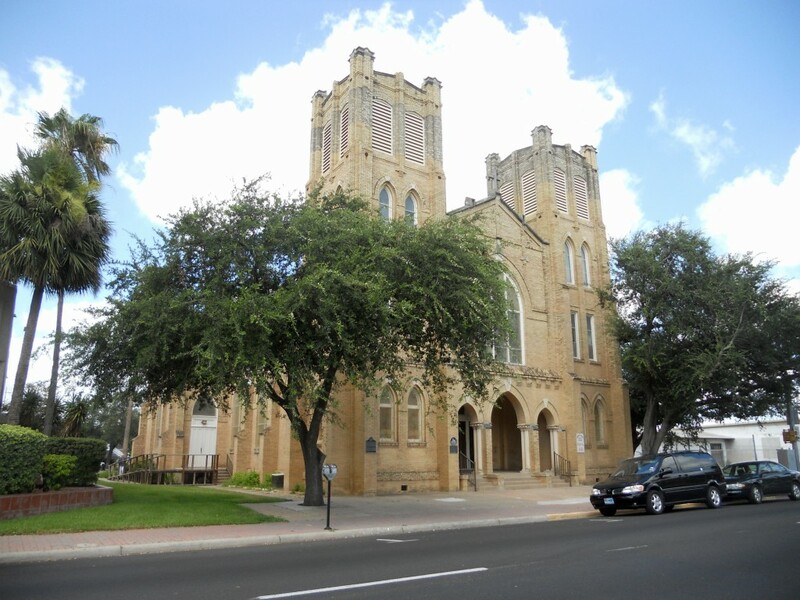 Since the property had initially been blessed by Bishop Carmody, the family tried to donate it to the Corpus Christi diocese. However, Bishop Mulvey declined the offer due to the diocese’s limited resources. 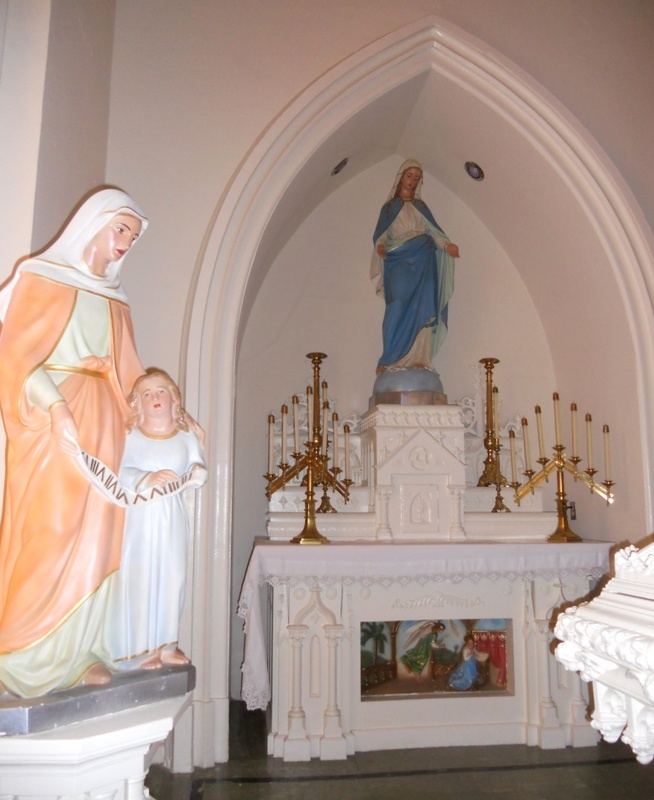 Instead, “the shrine of Nuestra Señora de San Juan de los Lagos [was] relocated… to a former mission,” Mary Mother of the Church, that is located at 1755 Frio Street (Corpus Christi Caller-Times, July 21, 2010). As we come to a greater knowledge of God and of self, we will grasp the meaning and purpose of our spiritual journey to become ambassadors of Jesus, carrying His message of love to all peoples. Free me, O God, of all that prevents me from being a messenger of your love. Let me be a pencil in Your hand giving expression to your compassion and mercy (Sister Maria Tasto, OSB). “In an absolutely delicious bit of irony, Pontius Pilate, the Roman governor, places over the cross, the declaration, in the three major languages of the time, that Jesus is the King, effectively de-throning Caesar and becoming, despite himself, the first great evangelist” (Fr. 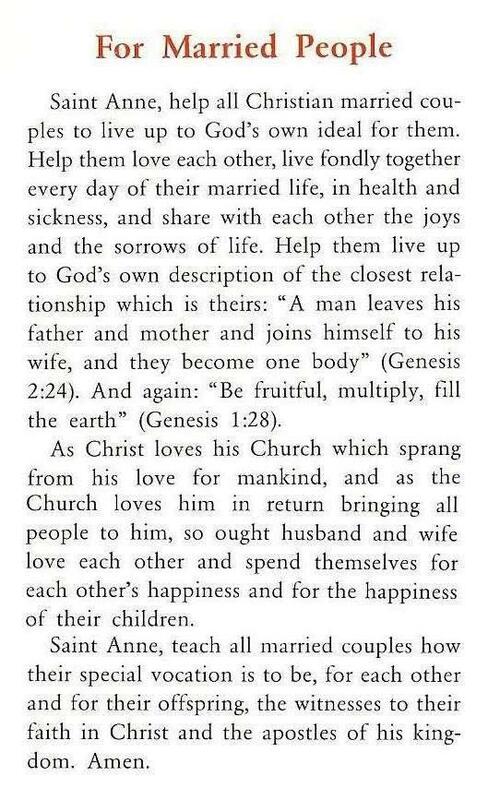 Robert Barron). “Truly, matters in the world are in a bad state; but, if you and I begin in earnest to reform ourselves, a really good beginning will have been made” (St. Peter of Alcántara). “Thanks to the charismatic movement, a multitude of Christians, men and women, young people and adults have rediscovered Pentecost as a living reality in their daily lives” (St. John Paul II). 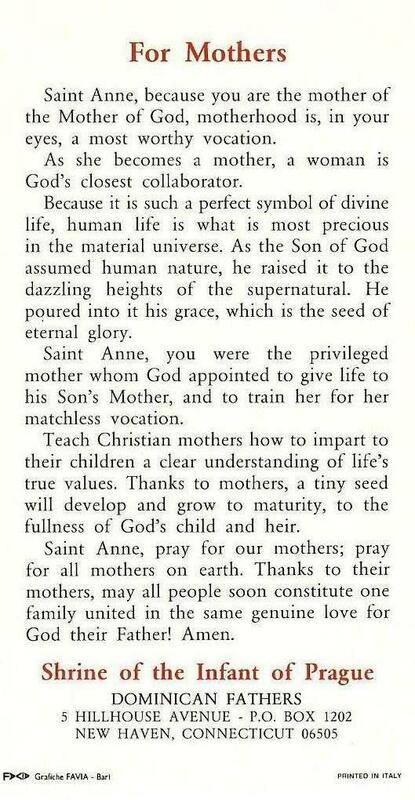 Anne is the glorious tree from which bloomed a twig under divine influence. She is the sublime heaven from whose heights the Star of the Sea neared its rising. She is the blessed barren woman, happy mother among mothers, from whose pure womb came forth the shining temple of God, the sanctuary of the Holy [Spirit], the Mother of God! (St. Jerome). also Meeting God in the Upper Room).